Lisa Pidge is crushing it right now. Long immersed in the worlds of marketing, entertainment and wine, Pidge has unified all of her passions into her current projects. She is the founder of the popular Crushers of Comedy series, which features standup comedy stars performing at various wine country locations, and she recently undertook the role of Sonoma County wine director for San Francisco Magazine. Born and raised in Santa Rosa, Pidge spent time in metropolitan cities like Los Angeles, New York and Tokyo. She worked in public relations and ran successful companies such as Doce Vida Fitness before moving back to the North Bay five years ago to be closer to her family. Now living in Sonoma Valley with her wife, Carlee, Pidge is bringing her skills and passions to the area by producing Crushers of Comedy. "I've loved comedy my whole life," Pidge says. "When I was just out of college, I spent a little time down in Los Angeles, living right down the street from the Comedy Store," she says. "I tried doing standup and improv, and just met a lot of really funny people." COMEDY CENTRALcomedy central Lisa Pidge founded the Crushers of Comedy series to fill a gap she saw in Sonoma County’s entertainment scene. "When I moved back, I noticed there was not a lot of comedy going on in Sonoma County, so I called my friends in L.A. to put on a production. It happened to be right around crush time in wine country, so it kind of just all came together," she says. For Pidge, the project is a way to highlight female comedians, and especially female comedians of color, voices largely lacking in most standup scenes. "In Hollywood, there were and still are very few roles for Asian women," says Pidge, who is half Filipino and half Eastern European. As far as being a lesbian in the North Bay, Pidge acknowledges that Sonoma County is very open to the community, though she says the lesbian scene in Sonoma can be limiting. "There aren't a lot of things to do for women," she says. "The guys have it down, but for women, it's different." Pidge, who is currently trying to have a baby with her wife through a donor program, points to the fact that women couples tend to have kids more than male couples and tend to party less. 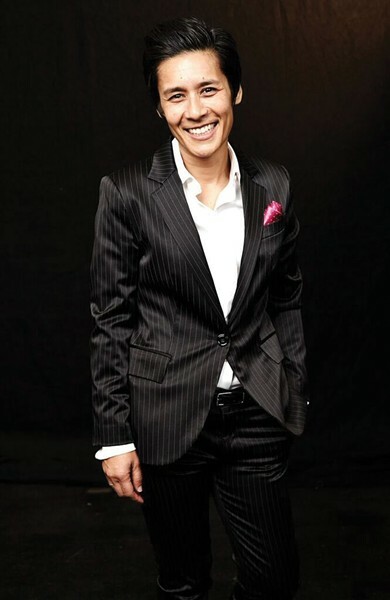 Pidge is proud to count herself among the area's gay business owners and entrepreneurs, though her passion is to promote women and women of color. Next month, Crushers of Comedy presents its biggest show of the year, the two-day Sonoma County Comedy Fest in Santa Rosa featuring award-winning wines, local brews, live music and a lineup of diverse standup talents. Headliners include Jenny Yang (pictured above), who just received the Champions of Change for Asian American and Pacific Islander Art and Storytelling award from President Obama in May, and Zahra Noorbakhsh, an Iranian-born comic who has been featured in the New Yorker and Cosmopolitan. "Through our production, we are trying to bring as much diversity to wine country as possible," says Pidge. "It's refreshing to have women from around the globe up there making people laugh." Modern folk musician Bobby Jo Valentine is on an exploration of inner truth. Valentine lives in Petaluma and grew up Baptist in Rohnert Park. Being gay, he had a difficult transition moving out of the conservative world he had lived in all his life. After coming out when he was 23, he used music to discover his own truths. "I wrote music kind of as a way to try to figure out life again," Valentine says. When you grow up thinking one way and then your whole perspective changes, "you don't know what to believe. So I started writing songs as a way to build myself back up." What really kick-started Valentine's career was the influence from his partner, John. "He was the one who started pushing me into more music, and saying, 'Hey, you should do this for more than just a hobby.'" Valentine plays guitar and ukulele, and, when playing live, has a band accompanying him. 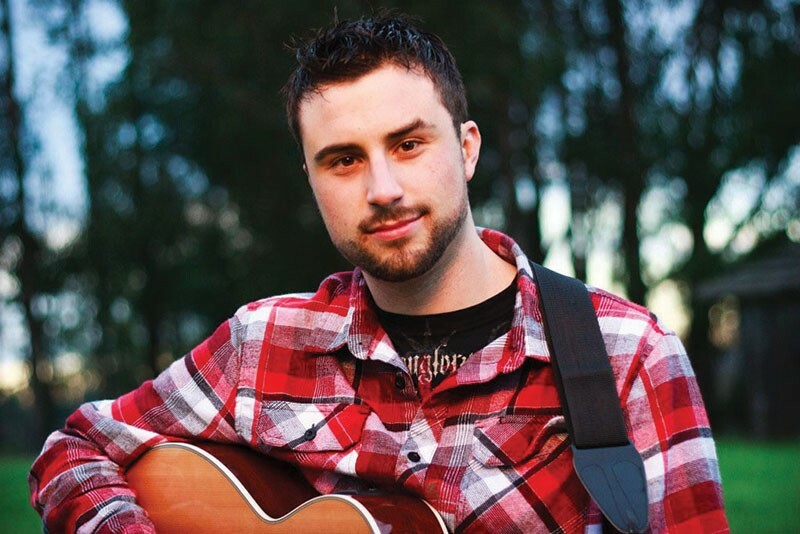 He has played at the Gay Christian Network Conference, the Wild Goose Festival and has been invited to play numerous music festivals around the state. One of Valentine's favorite places to perform is the Mystic Theater in Petaluma. "I think that largely [the North Bay] is accepting," says Valentine, "but I will say there is a piece of Sonoma County that can be a little locked in the past." Valentine wants to be known as a musician and hopes for the day when being gay is a small part of his identity. "We're more than our sexuality," he says. "We are so much more than that. I use who I am to try to talk about the bigger picture." In 2008, after the financial market crash, Gary Saperstein and his business partner, Mark Vogler, saw a business opportunity as more gay professionals started taking staycations close to home, but had little clue regarding what the North Bay had to offer. "Prior to the recession, many gays would get on a plane to Provence or other wine destinations before they would cross San Francisco's Golden Gate Bridge," says Saperstein. 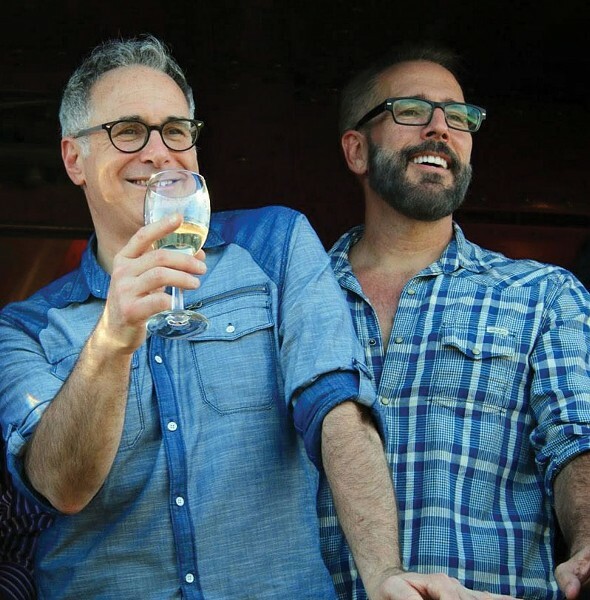 Saperstein and Vogler founded Out in the Vineyard, an LGBT-friendly tour company focusing on Sonoma County, and started "turning everyone to the wonderful lifestyle here." Out in the Vineyard offers three- and six-day trips in wine country, going from Sonoma to Healdsburg and back, with winetastings, culinary events and shopping on the itinerary. The timing, according to Saperstein, couldn't be better. OUT STANDING Gary Saperstein, left, and Mark Vogler founded Out in the Vineyard to bring gay tourists to wine country. "LGBT tourism has gone mainstream," he says. "We are no longer willing to hide out in remote places like Key West or Guerneville. We are out and visible, and spending money. The travel and tourism industry has taken notice." 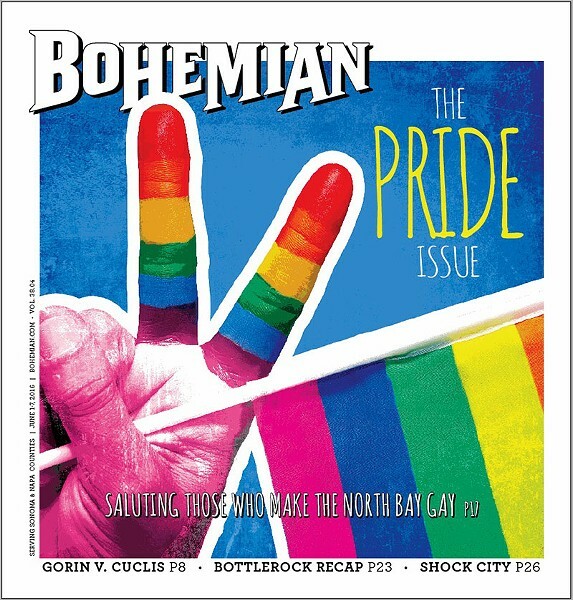 In addition to tours and trips, Out in the Vineyard is behind a handful of successful events such as the annual Gay Wine Weekend, a three-day wine festival and AIDS fundraiser running June 17–19 for Sonoma County's AIDS support network, Face to Face, and the Twilight T-Dance, a benefit taking place during the Gay Wine Weekend. "Some of our most joyous moments occur when we're raising money for Face to Face," says Saperstein. "This organization has been supplying support and services to people living with HIV/AIDS in Sonoma County since the beginning of the AIDS crisis. The fact that we can be a part of helping achieve this goal makes us extremely happy." Saperstein has bigger goals on his agenda. "It would be an asset for a LGBT Chamber [of Commerce] or community center to be part of Sonoma County, and we would love to see more businesses put money into marketing to the LGBT community," he says.